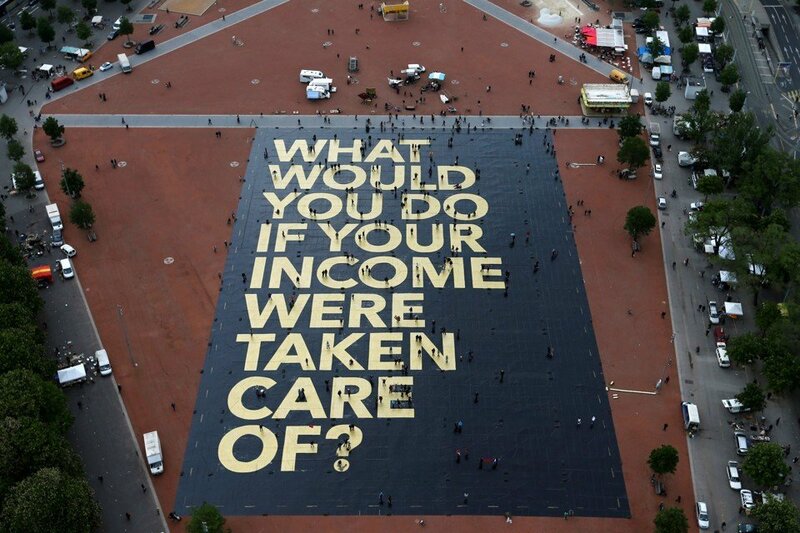 Home/Business Economy/What is Universal Basic Income? Several prominent members of the business community, especially ones based in Silicon Valley, have been trying to raise awareness about a socioeconomic experiment that many people hope will one day transform into public policy. I’m talking about a concept known as Universal Basic Income (UBI). The idea is, well, basic: a UBI is a periodic payment of cash to individuals or, in some cases, households1. Since it is unconditional, there are no means tests to determine which people qualify to receive the money, and since it is universal, every person or family receives a check, no questions asked1. Although the idea may seem like the product of some utopian fantasy, it is gaining traction in other countries, especially in Europe. Countries such as Finland, Canada, and the Netherlands are experimenting with the concept right now. For example, Finland is conducting a two-year UBI experiment by giving 2,000 unemployed citizens monthly payments of €560 ($658.64 in U.S. dollars) without any conditions whatsoever2. However, the income from the government is replacing social benefits these unemployed participants would otherwise receive. There is a belief among supporters of a UBI that this form of financial support would be more effective and efficient than other forms of welfare, especially ones managed by expensive and red-tape-laden bureaucratic structures. While results from experiments like the one taking place in Finland will not be available for some time, it is clearly an idea that governments are seriously considering to replace existing welfare systems. The public sector is not the only place where UBI experiments have gained traction. Several well-known private sector figures such as Facebook CEO Mark Zuckerberg, SpaceX CEO Elon Musk, and Virgin Group CEO Richard Branson have all expressed public support for a UBI. Although they acknowledge that the idea is in its infancy, their support for the concept comes from their belief that increasing levels of workplace automation will ultimately lead to fewer jobs. These proponents of a UBI reason that a guaranteed periodic cash payment to every individual would help all people survive and afford necessities such as food and housing2. They also surmise that decreased dependency on obtaining income will lead to greater levels of entrepreneurship and an increased ability to participate in the sharing economy2. Despite the strong support that the UBI concept receives from its backers in the public and private sectors, it does have its share of skeptics. There are concerns about whether the proposal would reduce incentives for people who receive guaranteed monthly cash payments from the government to participate in the workforce. While concerns about the productivity of recipients are certainly valid, advocates for a UBI usually counter with the suggestion that a form of income that provides for everyone’s basic needs would actually increase productivity by removing a key barrier to entrepreneurship: the fear of failure and, consequently, income loss. As one would expect, another major reason for skepticism is the funding mechanisms of such a program. The automatic assumption is that the government would have to collect an exorbitant amount of taxes in order for a UBI to be a viable option. However, UBI proponents would likely remind those concerned about funding issues that the program would replace existing (and costly) forms of social welfare. Although there are many reasons to doubt the viability of a UBI program, there are also reasons to explore it. A Silicon Valley company called Y Combinator has decided to launch a UBI experiment in the U.S. The company’s pilot program is giving between $1,000 and $2,000 per month to 100 families in Oakland, California, for periods ranging from six to twelve months3. Again, time will tell if the program is viable. However, one thing is certain now: get ready to hear a lot more about UBI. Support for the idea is quickly becoming a popular trend, and some are now calling it the “social vaccine of the twenty-first century”3.